AGD represents AEG on ongoing entitlement issues related to STAPLES Center and the adjacent 6,000,000 square-foot L.A. Live development in downtown Los Angeles. On behalf of AEG, we obtained City approvals for the development of a new football stadium and convention center hall at the Los Angeles Convention Center. 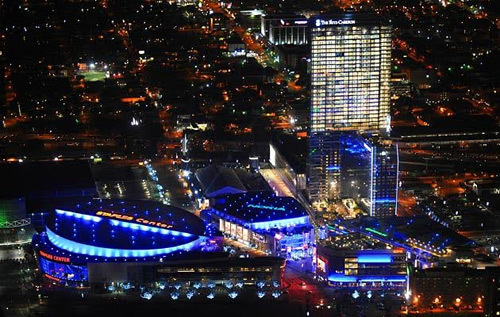 We are now assisting AEG in evolving those plans, including the new convention center hall and an expansion of the JW Marriott at L.A. Live.